Hello everyone! Today's post is a card I did for a Workshop yesterday. I got the idea from Kelly H over at SCS--Thanks Kelly! It sure got a good response from the gals. 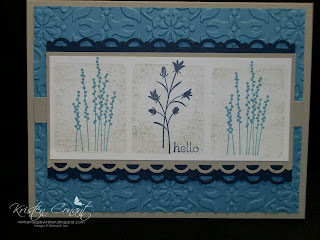 It is called block stamping because I used one of the acrylic blocks like a stamp! Cool huh?! After inking up the block I first stamped off before stamping on the main piece so the color was more sub-dude. Thanks for stopping bye today! Beautiful composition. 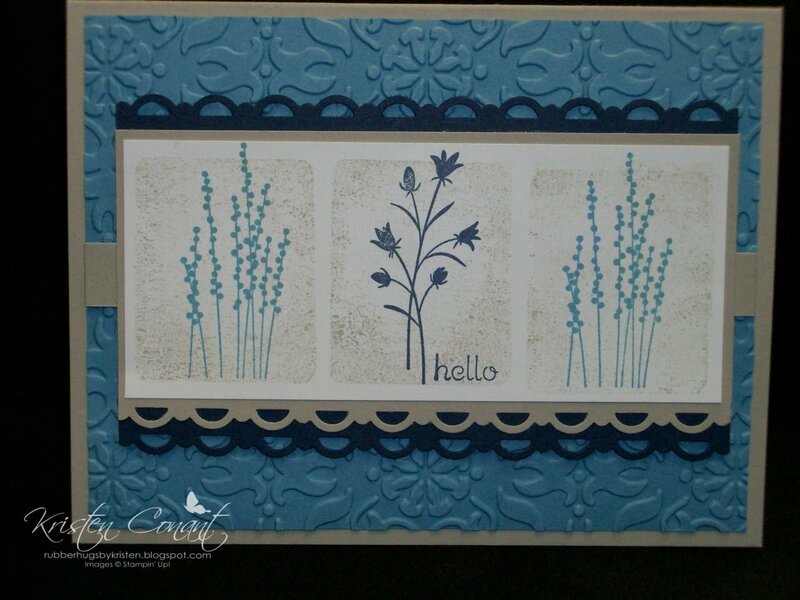 I just tried clear block stamping too. Cool technique. This is beautiful, love the color choices, really makes the card.